Given that the two safaris hadn't given me enough photo opportunities, I decided to wait back and do one more ride. This Ruddy Mongoose was basking in the evening sun on a fallen tree stump as we entered the jungle. Usually these are very shy and would retract into the bushes immediately, however this one was extremely camera friendly and it watched us inquisitively while we kept clicking away. 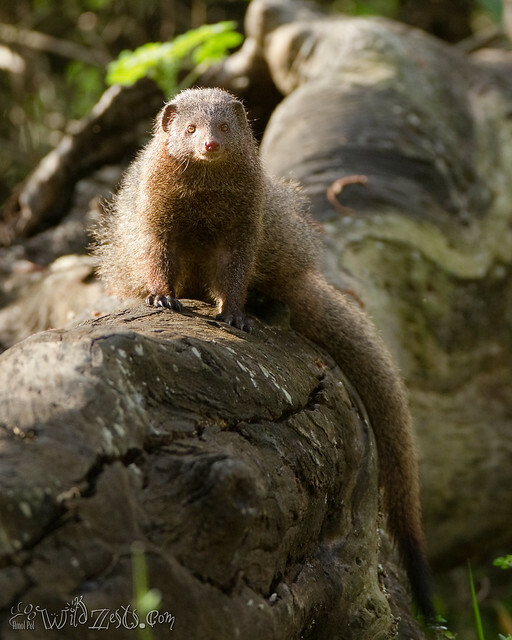 The mongoose are usually known for their ability to fight the cobra and emerge victorious, but their diet includes other rodents and lizards too.